Brent and Rob consider their sports focuses to be among the podcast's most underrated episodes -- but who doesn't love a chance to root for the underdog? Whether it's for football, volleyball, skateboarding, or slalom, settle into the bleachers for this one and see if you become a bigger fan of the music the second time around. *Brent's freestyling begins at the 00:30:30 mark of the original episode. Finish it up! For the jazz episode (also known as the "Side Pocket side focus" episode), the boizz uncovered some serious grooves -- sometimes in some seriously unexpected places. Needless to say, coffee shop and pool hall owners everywhere should add this mix to their in-house playlists immediately, then let everyone know how that goes in the comments below. On this month's episode, Rob is out sick, but not to worry - Brent is joined by special guest co-host Jake Kaufman aka virt. Jake Kaufman is a prolific video game music composer, responsible for the soundtracks to games such as Shovel Knight, Contra 4, DuckTales: Remastered, and Double Dragon Neon. Also, the Legacy Music Hour Christmas Carolers perform some VGM Karaoke with lyrics written by LMH user pendaflux. 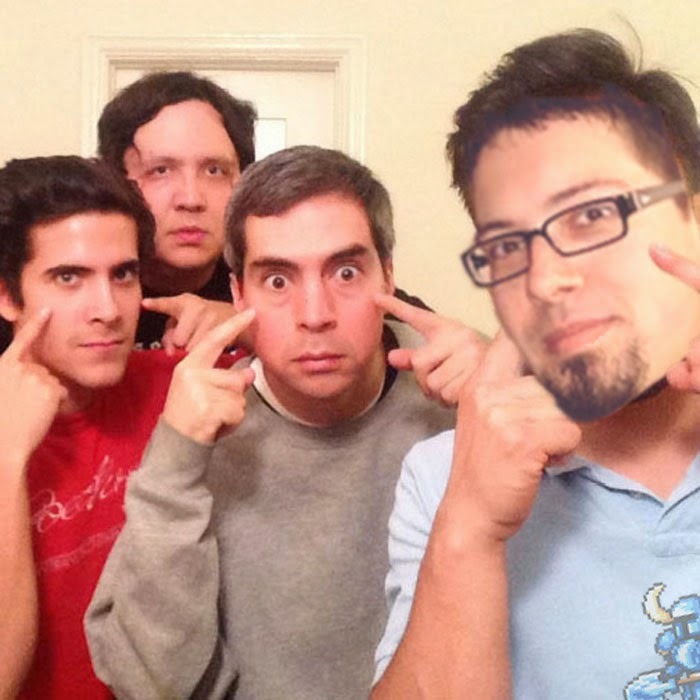 NOTE: The gang had forgotten to take a photo with Jake, so they just used last month's photo with a bit of alteration. Full track listing below.